The Guilt. The Passion. The Horror. 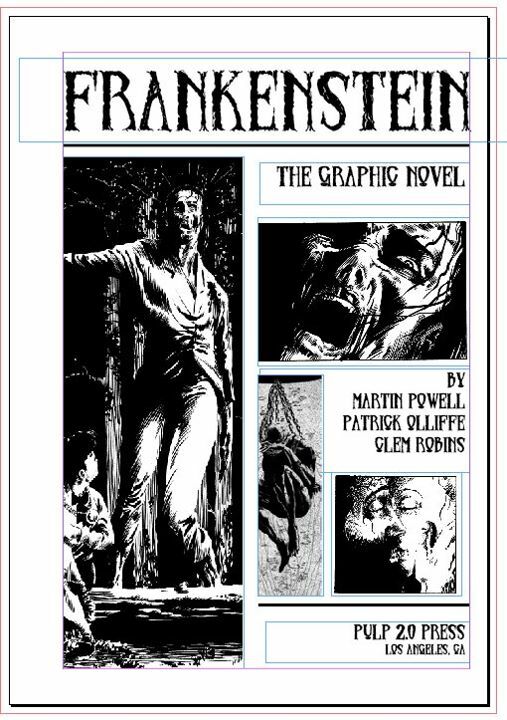 The Legend of FRANKENSTEIN Retold by Martin Powell and Patrick Olliffe. Based on the classic novel by Mary Shelley. 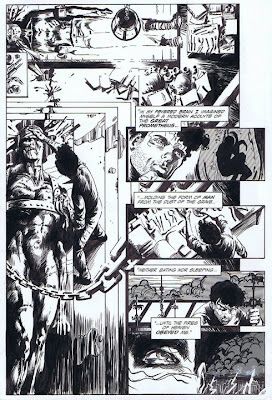 The complete story collected from remastered pages by the artist. An introduction by noted Frankenstein scholar Pierre Fournier of the Frankensteinia blog. A comprehensive interview with writer Martin Powell by Michael Leal on the origins of this graphic novel. 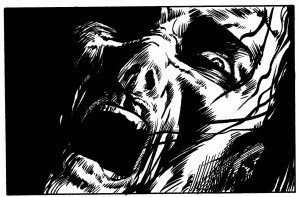 A gallery of the many ways that the Frankenstein Monster has been envisioned in movies comics and books. 109 Black & White interior pages. New Color cover art by artist Patrick Olliffe, designed by Bill Cunningham. Here is Dark Horse's solicitation page from the Oct. issue of PREVIEWS catalog advertising THE HOUND OF THE BASKERVILLES, as illustrated Jamie Chase, written by me, based on the classic Sherlock Holmes mystery by Sir Arthur Conan Doyle. Please ask your local comics shops and bookstores to order your copy next month. The book will also available through Amazon, B&N, THINGS FROM ANOTHER WORLD and many other fine online locations. 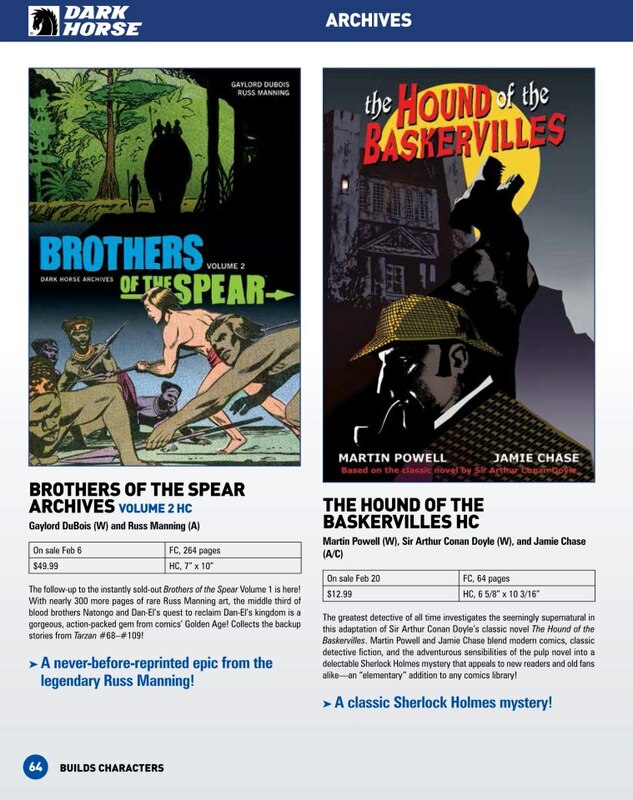 Jamie and I would love to present more adventures of the Great Detective in this lavish, full-colour, affordably-priced hardcover editions. Our success is literally in your hands. 64 pages, for $14.95. From Sequential Pulp/Dark Horse Comics. We greatly appreciate your support. Thank you! The Halloween Legion -- Reviewed! A very exciting review of my THE HALLOWEEN LEGION Book One by David Brzeski of the British Fantasy Society. This brand-new edition of my and Patrick Olliffe's FRANKENSTEIN is the graphic novel's fifth printing, based on the classic horror novel by Mary Shelley. 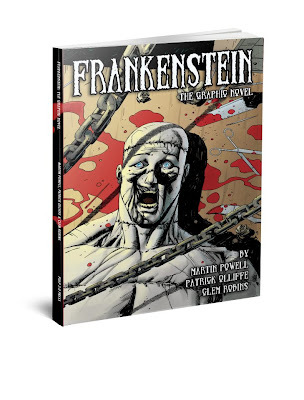 Featuring: an introduction by Frankenstein scholar Pierre Fournier, an in-depth interview conducted by Michael Leal on my and Pat's creation of the book, and a gallery of images showcasing how the classic Frankenstein Monster has been reinterpreted for various generations and cultures. From Pulp 2.0 Press. Get yours before Halloween!